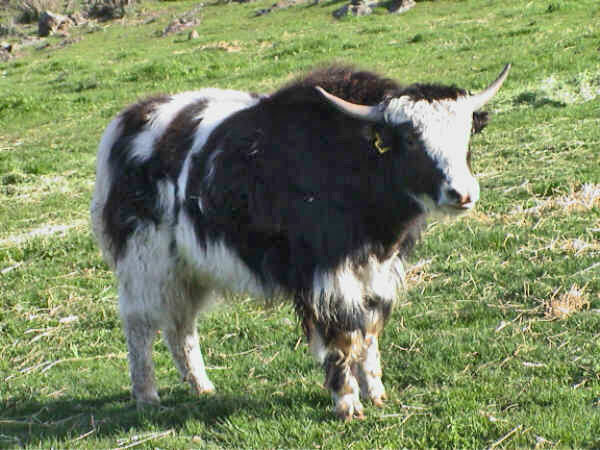 The Yak is a longhaired humped domestic bovine found in Tibet and throughout the Himalayan region of south central Asia, as well as in Mongolia. 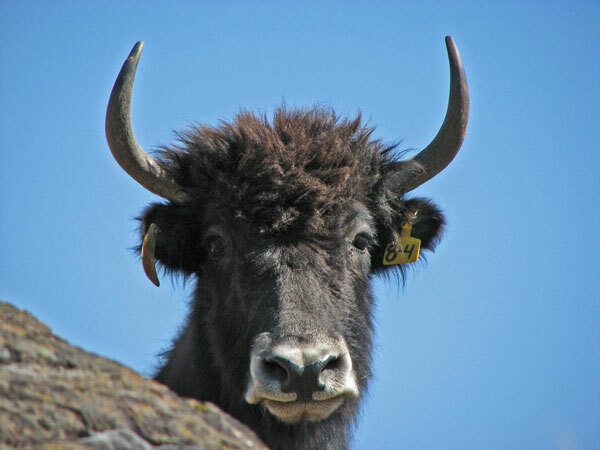 In Tibetan, the word yak refers only to the male of the species; a female is a dri or nak. 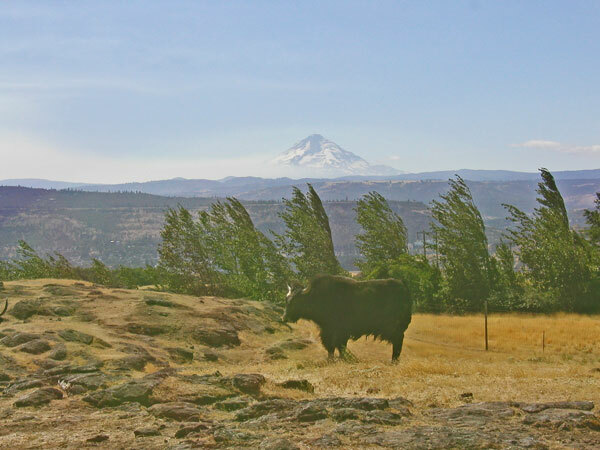 In most languages which borrowed the word, including English, yak is used for both sexes. 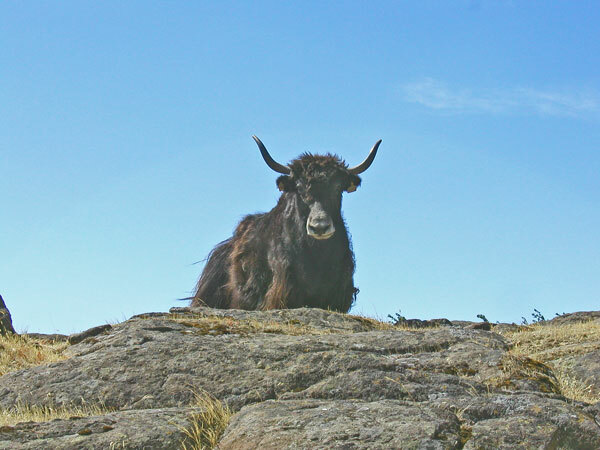 Wild yaks are about 6 feet (2 meters) tall at the shoulder. 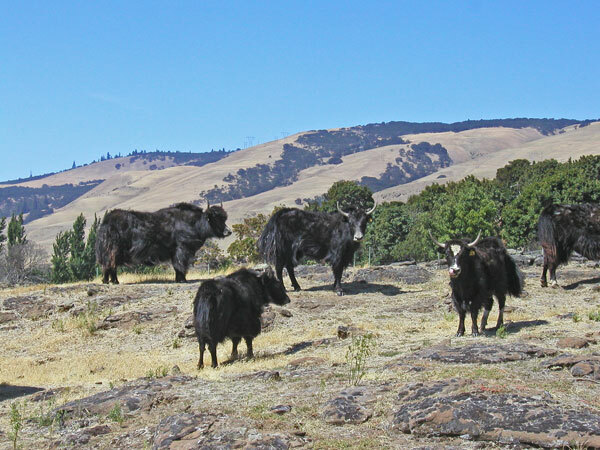 Domestic yaks are about half that height. Both types have long shaggy hair for insulation from the cold. 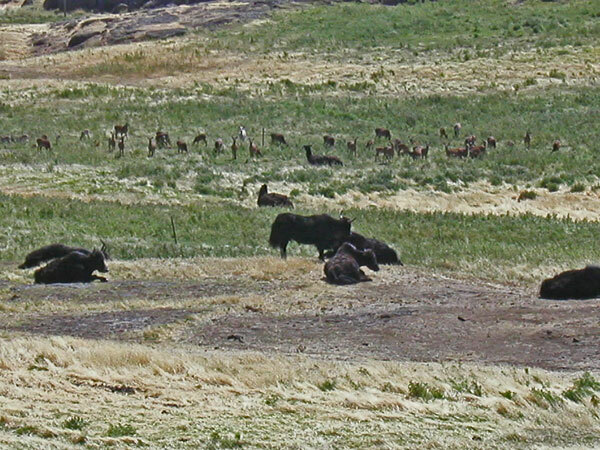 Wild yaks can be either brown or black. 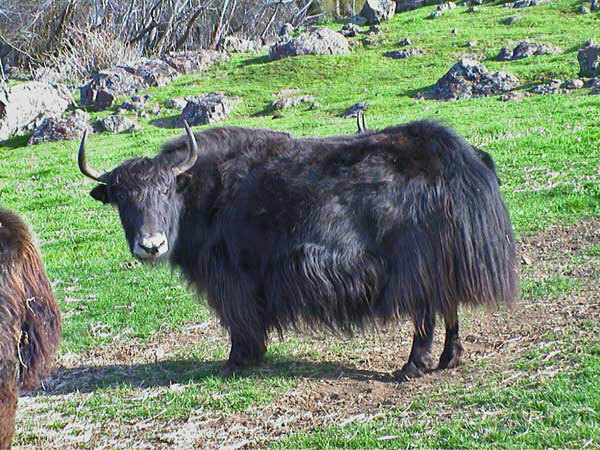 Domesticated yaks are also black, brown, or white. Both sexes have horns. 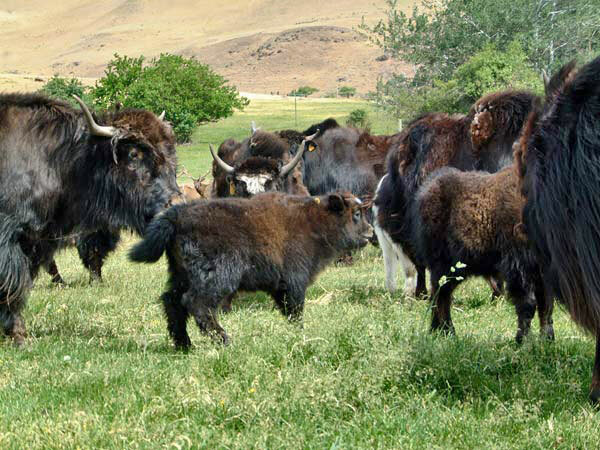 Wild yaks can weigh 1,000 kg (2,200 lb). 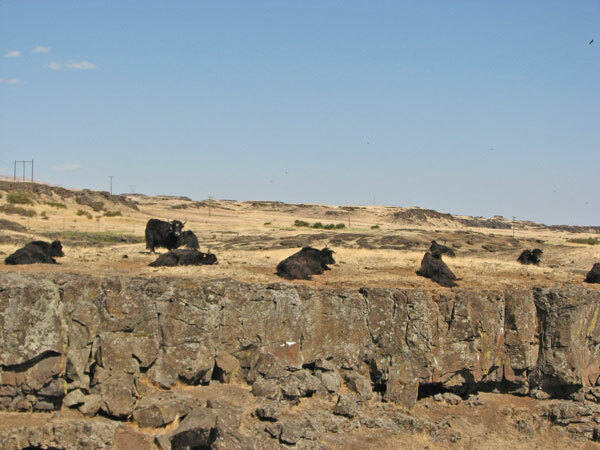 They usually form groups of between 10 and 30 animals. 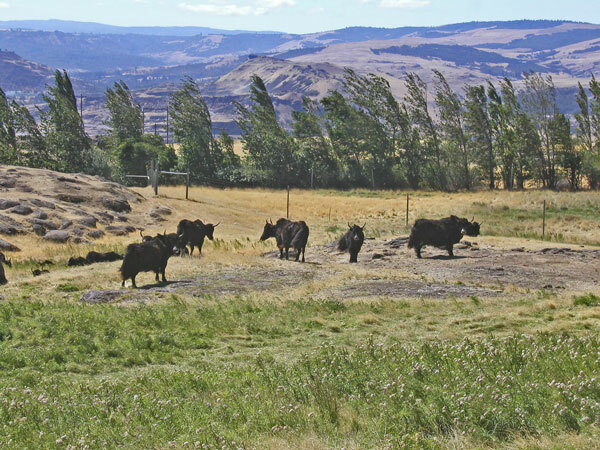 Their habitat is treeless uplands like hills, mountains and plateau between 10,500 ft (3,200 m) and roughly 18,000 ft (5,400 m). They eat grasses, lichens and other plants. During the warmest season, these hardy animals live in areas of permanent snow and move lower down at colder times. Dense, close, matted under-hair as well as their shaggy outer hair insulates them. 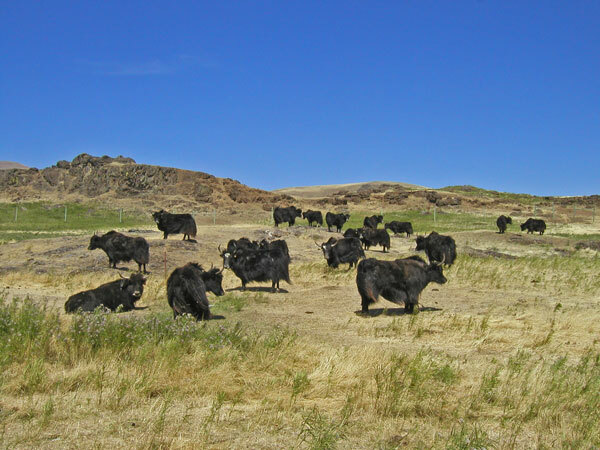 Yaks were important caravan animals, replacing camels in mountainous country. 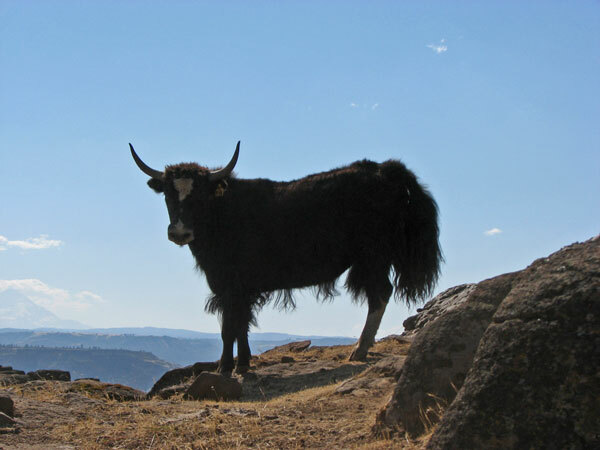 Domesticated yaks are kept for their milk, fiber, and meat; they are also used as beasts of burden, transporting goods across mountain passes for local farmers and traders as well as in support of climbing and trekking expeditions. Yak milk is often processed to a cheese. 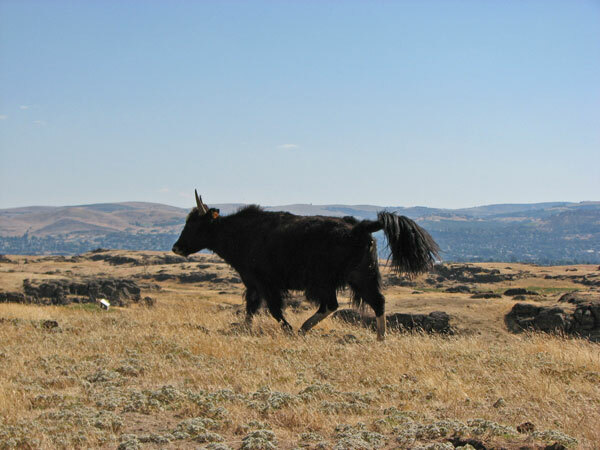 Sometimes the pack yak is crossbred with the common domesticated cow. These are known as dzo or dzopkyo in Tibet. 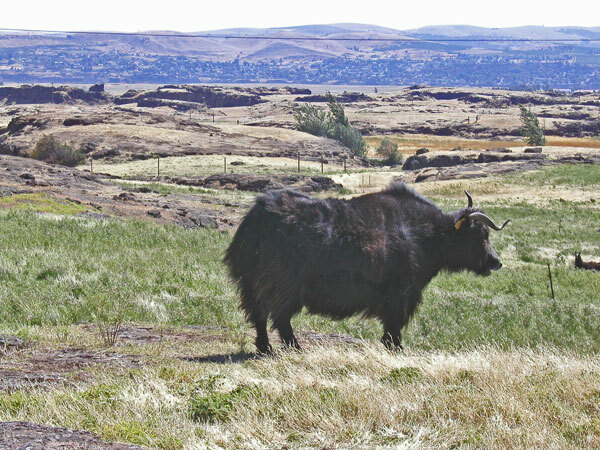 Yak fiber is soft and smooth, in shades of gray, brown, black and white. 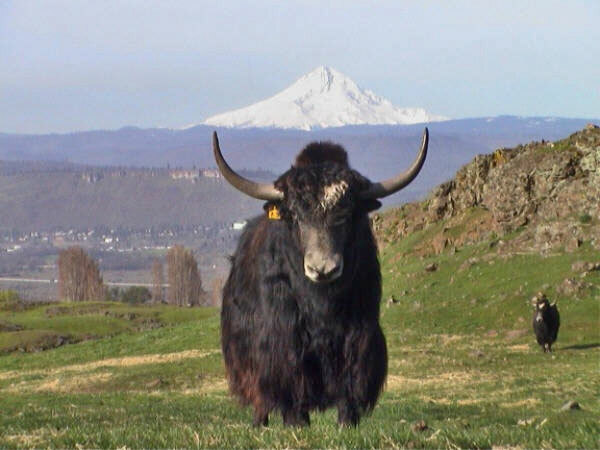 The length of yak fiber is about 1.2 inches (3 cm). It is combed or shed from the yak and then dehaired. The result is a magnificent downy fiber that can be spun into yarn for knitting. 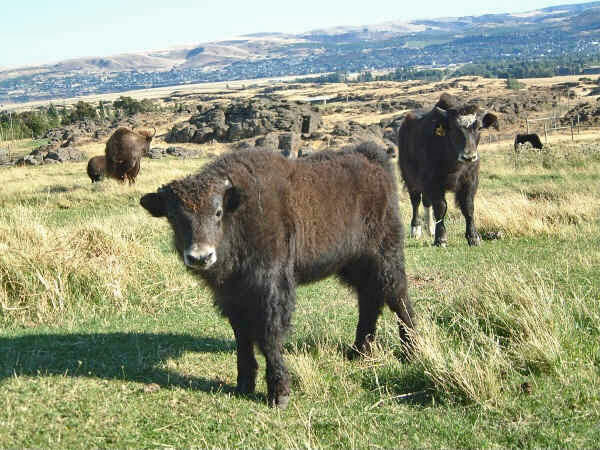 Unlike cattle, yaks grunt rather than moo. 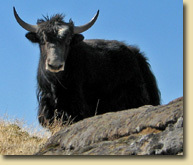 Many wild yaks are killed for food by the Tibetans and are now an endangered species. 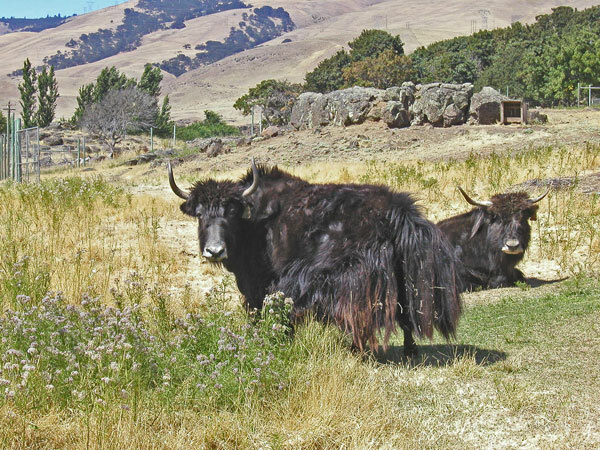 Domesticated yaks have a lifespan of 20-25 years.